and Southern to Central Western NSW. 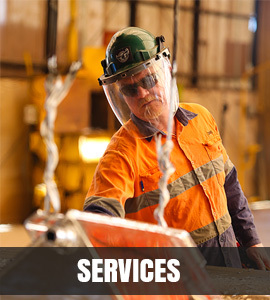 "Giving your steel a brighter future"
Albury Galvanizing provide a Hot Dip Galvanizing service across North East Victoria, ACT, South Coast NSW and Southern to Central Western NSW. We galvanise products ranging in size from large highway infrastructure items through to small pieces for construction projects. 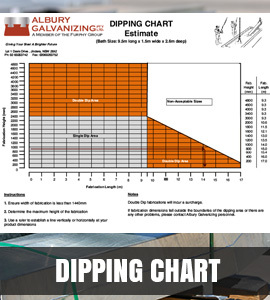 RMR Engineering has been using Albury Galvanizing for 20 years – that speaks for itself. They are friendly and easy to deal with and we have never had an issue with the quality of their work. In addition, we like to support local businesses where we can; they make that easy to do. 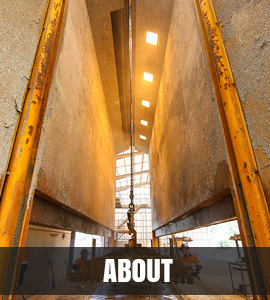 Albury Galvanizing’s quality and workmanship is second to none. Whether we give them small brackets, 3d frames or 18mtr beams to galvanise, it’s always of the highest quality. The team is always looking to help, from improving lead times to supplying transport. Albury Galvanizing is a great local business to work with.